The goal of this group is first to preserve and maintain the home as it has always been and currently is, which is very much as it was when Bishop lived there, to maintain it as a residence. 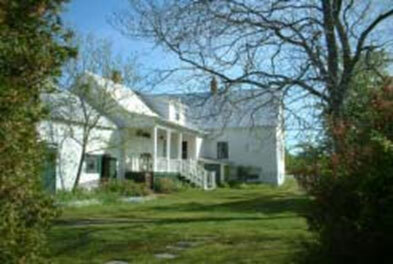 The house was designated a Provincial Heritage Property several years ago, and this designation will be retained. The co-owners, many of whom are artists and scholars, intend to spend time in the house; and over the next couple of years they will also establish an “Artist in Residence” programme, whereby scholars, writers, painters, musicians, etc., can visit in order to work on projects or simply to retreat. These goals and plans are currently in a very early stage, and will take time to evolve and manifest. While the group is technically not a non-profit organization, the intention is to be so in practice, that is, all revenue and fundraising will go directly into the operation and pres- ervation of the house. The group welcomes inquiries. If anyone is interested in learning more about this house (the site of “Sestina” and “First Death in Nova Scotia”) please contact Sandra Barry (Trustee of the Elizabeth Bishop House) at slbarry@ns.sympatico.ca (902-429-6385) 1323 Dresden Row #3, Halifax, N.S., B3J 2J9 Canada. Updates about the house and the “Artist in Residence” programme will appear in this Bulletin as often as it is possible provide them. Another exciting Elizabeth Bishop development occurring in Nova Scotia comes out of the Acadia University Archives, Wolfville, N.S. The AUA is digitizing a large collection of Bishop-related material which it holds (i.e., the Bulmer family archive), described in Elizabeth Bishop: An Archival Guide to Her Life in Nova Scotia (1996), written by Sandra Barry. The Guide has been out of print for many years, but will be incorporated into the virtual archive, which is being created at AUA. It is hoped that this virtual archive will be up and running by the spring of 2005. Contact rhianna.edwards@acadiau.ca for info. “Monkey, mind your own tail!” Elizabeth Bishop was abused by Fernando de Castro in a page of insults in the newspaper Correio da Manha, as a reaction to her article about Rio, published in The New York Times Magazine of March 7, 1965. The title of Bishop´s article resulted from an imbroglio by the editors, who took the picture of a streetcar for a train, and mistranslated the name of the working class district it was heading to, Encantado, which does not mean Delight, but Charmed. Bishop´s poems about Rio are acrimonius. A scabby dog, a drunken beggar, a second-rate bandit, swooning round cakes and slummers parade in a surrealistic world of rationed light, kill-beggar policies, childish whores do- ing the cha cha, and a huge military operation to murder one lonely burglar. Yes, Bishop was aware of Rio´s social discrepancies and shortcomings for a marvelous city. Bishop lived in Rio for six years, in an apartment on the 11th floor in Leme, the first section of world-famous Copacabana. The moment she went to her verandah, what would she see? Before her, lavish Copacabana beach, with indolent women lying on the sand, under colorful umbrellas. On her left, a sordid slum on Babilonia hill, with women climbing up from the asphalted avenue, carrying heavy cans of water on their heads. The same sun blazing over. Probably Bishop was baffled the first time she heard this scene translated into a merry Carnival samba: “A water can on her head /Up hill goes Maria/ Taking a child by the hand / She never gets tired / Up hill goes Maria.” People had lots of fun singing the samba, swinging their hips, and mimicking carrying a can on their heads. It is true that Bishop produced grim poems about Rio. Yet, it is also true — and surprising — that she would soon learn to admire the Cariocans´ ability to make social criticism through humor, and to samba unhappiness away. With an empathic mind, Bishop understood that Carnival songs were expressions of cathartic irrever- ence, a means of exorcising hardship by making it laughable. Like no other non-Brazilian writer, Bishop noted, in letters and journals, how “the poor” dealt with their ambivalent feelings toward the city, which during the three days of Carnival would become a marvelous one. Bishop took notice that the maid saved money all year long, to buy a costume to wear in the samba school parade. On Carnival Sunday, the maid would leave the apartment dressed in satin and pearls, with a white wig, to be a queen for one night. Sambaing in the avenue with her, courtly ladies and lords from the slum. Carnival was the aesthetic materialization of the power of imagination and collective poetry of a people, perceived the American poet. In her unsurpassable definition: “a glorious, artistic mess”. One day, Bishop came out to her verandah. She noticed boys in the slum were flying kites. She looked up to the sky, picked up her notebook and wrote down, possibly for a future poem: “kites hover among buzzards”. It takes a poet to see marvels. Vassar College’s Powerhouse Theater presented Marta Goes’s “A Safe Haven for Elizabeth Bishop” this past summer, from June 26 to July 1, in a test run of the show, which producers expect eventually to bring to Broad- way. Amy Irving starred in the play, which focuses on Bishop’s long relationship with Lota de Macedo Soares and her exploration of that relationship in her poetry. Irving was spectacular as Elizabeth Bishop. Her soft, polished voice, her suits and pants outfits, her hairstyle and gestures all sounded and looked very much like the Bishop we know from recordings and photos. While exhibiting restraint and subtle humor, Irving also probed deeply into Bishop’s intellect, passionate nature, affec- tion for animals and children—and her long struggle with her demon, alcohol. When Irving recited Bishop’s poems, especially the haunting villanelle, “One Art,” the audience held its collective breath. I was not alone in wishing the play had allowed for more poetry recitation. The set and sound designs for the play were elaborate and fast-changing, and I rather liked the abstract sugges- tions for each scene. Samambaia’s contemporary feel was captured, for example, by soaring architectural beams, and the port of Santos by sails and sea sounds. The playbill also included a lively essay by Barbara Page that outlined the story of Bishop’s Brazil years and re- counted Lota’s political battles in getting Rio’s people’s park built. Page’s essay underscored a major theme of “A Safe Haven”: that politics in Brazil were in good measure responsible for Lota’s death and for Bishop’s decision to leave the country. For a dozen years, Brazil was literally “A Safe Haven” for Bishop, and even after she returned to the States, she was able to look back on her Brazilian experiences, trans- forming them into some of her best and best-loved poetry. I hope that this play will make it to Broadway; I’ll get my tickets early. Goldensohn, Lorrie. Dismantling Glory: Twentieth-Century Soldier Poetry. New York: Columbia UP, 2003. Rotella, Guy. Castings: Monuments and Monumentality in Poems by Elizabeth Bishop, Robert Lowell, James Merrill, Derek Walcott and Seamus Heaney. Vanderbilt UP, 2004. Excellent new books by Lorrie Goldensohn and Guy Rotella, both concerning the public role of poetry, should be of considerable interest to scholars of Elizabeth Bishop. Lorrie Goldensohn’s name is familiar to Bishop scholars through her book, Elizabeth Bishop: The Biography of a Poetry (1992), as well as articles in Marilyn Lombardi’s The Geography of Gender (1993) and Laura Menides and Angela Dorenkamp’s “In Worcester, Massachusetts” (1999). Goldensohn’s latest book—Dismantling Glory: Twentieth-Century Soldier Poetry (New York: Columbia University Press, 2003)—discusses Bishop only in passing. It focuses instead on World War I poetry by Wilfred Owen; World War II poetry by W. H. Auden, Keith Douglas, and Randall Jarrell; and Vietnam War poetry by Doug Anderson, W. D. Ehrhart, and Yusef Komunyakaa. Emphasizing the central strain of masculinity, the book exposes a tension between heroism’s legitimate appeal and the justifiable revulsion against what heroism has wrought. Although Goldensohn identifies a recurrent admiration for values like courage in even the strongest anti-war poems, she refuses to endorse such values wholeheartedly, remaining always aware of the suffering they cause. Dismantling Glory traces a chronological arc of increasingly indiscriminate slaughter, in which the distinction between combatant and non-combatant vanishes. The book provides an exciting yet sobering journey. Reading it is at times an overpowering experience—as haunting as remembered trauma. Dismantling Glory treats Elizabeth Bishop primarily in relation to Randall Jarrell. Jarrell had accused Marianne Moore’s World War II poem, “In Distrust of Merits,” of not knowing what it was talking about: “We are surprised to find Nature, in Miss Moore’s poll of it, so strongly in favor of Morality; but all the results are implicit in the sampling—like the Literary Digest, she sent postcards only to the nicer animals.” As unfair as this attack was, Jarrell did not repeat it in regard to Bishop’s World War II poem, “Roosters.” He considered Bishop the best poet of their generation. Bishop, however, did not return the compliment. She hedged her praise of Jarrell’s war poetry and complained to one correspondent of his “maudlin, morbid streak.” Nevertheless, Goldensohn argues that the two poets’ war views were largely congruent. Jarrell’s poems refuse “the greatest temptation, to surrender to the blind patriotism that inflates friend and degrades enemy.” In a similar way, Bishop’s “From Trollope’s Journal” portrays militarism as a contagion (“The soldiers poison the air”), and “Roosters” depicts it as fundamentally dirty (“He . . . lies in dung”). Like Lorrie Goldensohn, Guy Rotella is well known to most Bishop scholars. His earlier book, Reading and Writing Nature (1991), includes a chapter on Bishop. His new study—Castings: Monuments and Monumentality in Poems by Elizabeth Bishop, Robert Lowell, James Merrill, Derek Walcott and Seamus Heaney (Nashville: Vanderbilt University Press, 2004)—analyzes poetry’s modern-day ambivalence toward monuments. Rotella observes that monuments have always been sites of controversy as well as social cohesion. Nietzsche’s imperative, “Away with the monuments,” has seemed increasingly pertinent to poets, given the cultural relativism of the modern and postmodern eras. Bishop, Lowell, Merrill, Walcott, and Heaney distrust the notions of universality, stability, and permanence that monuments often imply. Still, they ultimately take a nuanced view of monumentality, aware that social crises call out for some public representation, preferably ones without hegemonic agendas. These poets wish to see monuments continue, but in a revised form that takes irony and contingency into account. In Rotella’s analysis, Elizabeth Bishop initiates this complex attitude toward monumentality. Distrustful of all sources of authority and power, she wrote poems that consider “the unsettled and unsettling political, aesthetic, and more broadly cultural issues monuments condense.” In “The Monument,” her most sustained poem on the topic, she inscribes a debate about the nature and value of monuments. The poem assumes an anti-monumental stance but one complicated by fascination and regard. That premise will seem acceptable to most Bishop readers but Rotella uses it as a springboard for ideas that are more provocative. For example, he argues that “The Monument” joins with “Roosters” as an implicitly opposi tional, egalitarian, and anti-war poem. Goldensohn and Rotella write gracefully, and they think seriously about poetry’s place in the public arena. I highly recommend these insightful books. Gray, Jeffrey. Mastery’s End: Travel and Postwar American Poetry. Athens and London: U of Georgia P, 2005. xiv + 281 pp. with index. Jeffrey Gray’s book provides weighty exploration of post- war travelling poets, with chapters on Bishop, Lowell, Ashbery, the Beats, Walcott, Hejinian and Mackey. The interstices of postmodern and postcolonial poetry are forever shifting in this book’s propellent wake. “Falling off the Round, Turning World: Elizabeth Bishop’s Tristes Tropiques,” a portion of which was presented at the Cancun conference, shows us a poet in-between topogra- phies. Bishop’s careful positioning is far from timid though. Her poetry’s provisional agency allows for surprise, novelty, trepidation, distance, concern — these qualities place her work against mastery, imperialism and symbolic dominance. Bishop and many other poets here express the pleasure, with reservations, common to early 21st-century travel. Mastery’s End is provacative reading to complement any trip. Gray’s voice manages to convey familiarity and authority, easily striding between theory, poetic-critical analysis and experience. The Bishop chapter culminates with a vivid description of her house at Ouro Preto, “larger than expected, with views of baroque churches and green hills from every room,” and with anecdotes about Bishop’s acquaintances with workers and neighbors, though she remains a largely unknown poet to local Brazilians. The book’s trajectory places Bishop between the extremes of Lowell’s confessional saturation and Ashbery’s reality-slippage. While both Lowell and Ashbery’s poems are burdened with anxieties, Bishop is able to dip in and out of human and seemingly non-human (neither ‘alien’ or ‘objective’ will do) realms. Bishop’s decentered travel poetry brings postmodern play together with postcolonial politics. Gray repeatedly demonstrates the limited paradigms by which postcolonial narratives prove insufficient to the analysis of postwar travel poetry. Derek Walcott becomes the key figure here — one who’s criticized for abandoning home in search of universals and acclaim. As Gray argues in “The Problem of Witness” chapter, the poet would be little read if he stayed in St. Lucia. Walcott illustrates his envious admiration of popular musicians, such as Bob Marley, who can reach more people successfully. Although Walcott shares with Marley a heterogenous background and allegiances, Walcott’s liminality is closer to Bishop’s in-betweenness. Their concerns are global and historical, and so is Gray’s book about global citizenry. “The Problem of Witness” in this context is more complex than previous accounts of imperial strangers. We’re clearly in empire’s legacy now — delegating borders to writing is traditional curriculum. The contemporary human experience involves conflict as exile and neighbor mesh. For Walcott, collisions occur in poems thick with metaphorical and linguistic textures — how do we figure? This demanding question is equally aesthetic and political. Historical agency is of the one- sided past; human agency is in crisis, as poets from Bishop and Rich through Jorie Graham have shown. In this regard, Gray evaluates Ashbery’s agent provoca- teurs and their transgressions while witnessing and re- flecting. “Home is the present stasis; travel is the future mobility,” writes Gray. Ashbery’s “unconstrained textuality” rolls on without clear antecedents; readers are at sea catching wind. Travel is parodied because arrivals are deferred and interiors withheld, yet the language unravels with pleasure at the loss of mastery. Gray’s book’s final appendix is “Writing the Land.” The author cites admirable poems by Walcott, Ashbery, Bishop, Hejinian and Snyder. A limitation of these map- pings, Gray states, is that nature poetry is apolitical. I’m not so sure. Perhaps the problem of witness might be usefully transfigured in nature’s witness of history, such as the scars of time are depicted in Walcott’s “Almond Trees” or Bishop’s “Santarem.” It is here where Mastery Ends and political designs are demarcated in the earth. Jeffrey Gray’s book engages thoroughly with poetic criticism, and brings readers to consider collisions in contemporary poetics by framing the discussion in fresh context. This year’s Elizabeth Bishop Society panel at the ALA conference is on “Correspondences,” with Ross Leckie as Chair (May 26-29, Westin Copley Place Hotel in Boston). Elizabeth Bishop.” Monica Pearl, Univ. of Manchester. Letter Writing.” Jonathan Ellis, University of Reading. dence.” Anne Shifrer, Utah State University.